This was the final stepping stone for Limini on her way to landing the first running of the Dawn Run Mares' Novice Hurdle at Cheltenham and whoever follows in her footsteps today will surely book their ticket to the the second edition. Shattered Love and Asthuria have already clashed. 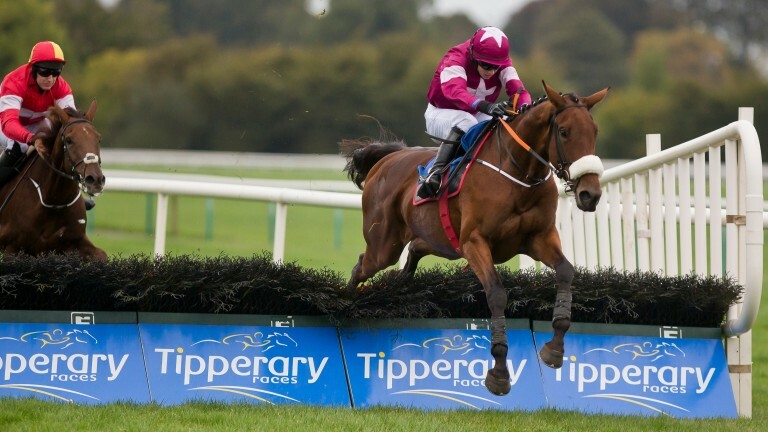 They took each other on at Thurles in mid-December but we were deprived of what promised to be a thrilling finish when the Willie Mullins-trained six-year-old came down at the third last. Asthuria's departure left the way clear for Shattered Love to run out a wide-margin winner and she managed to put 37 lengths between her and her nearest pursuer, Kalopsia. It was impressive stuff. Not only does Shattered Love have Asthuria to beat again on this occasion, but the fact that Ruby Walsh has opted to ride Pravalaguna suggests that she is the number one hope from Closutton and could be even better than Asthuria. Pravalaguna is unbeaten and arrives on the back of a smooth maiden hurdle success at Navan in December. Given that Willie Mullins has a plethora of powerful mares and Walsh had picked her, she falls into the 'could be anything' category. She's A Star has arguably bumped into the best novice of all, chasing home Albert Bartlett hotpot Death Duty on her most recent start at Navan towards the end of November, but her rating of 128 is 6lb inferior to Asthuria and she has to give that rival 4lb. The last five favourites have all been successful. Our Girl Salley (2011), Ceol Rua (2012), Gitane Du Berlais (2014), Morning Run (2015) and Limini (2016) have all done the business for punters. Indeed, the biggest price of that quartet was Ceol Rua at 6-4. She worked really well during the week and I could not be any happier with her. I know Asthuria fell at Thurles but she was still impressive. She has keep on improving from day one and I think she has improved again. It has taken a while for her to come back to herself and she hasn't run since November but she seems to have come right now. Ideally, she would want further than this but we have to start somewhere. As I expected, it looks a hot enough race. She deserved a bit of luck last time, although she was very lucky. There are very few of these Graded mares' hurdles and it would be wonderful if she could get placed. The trip might be a bit on the short side for her.